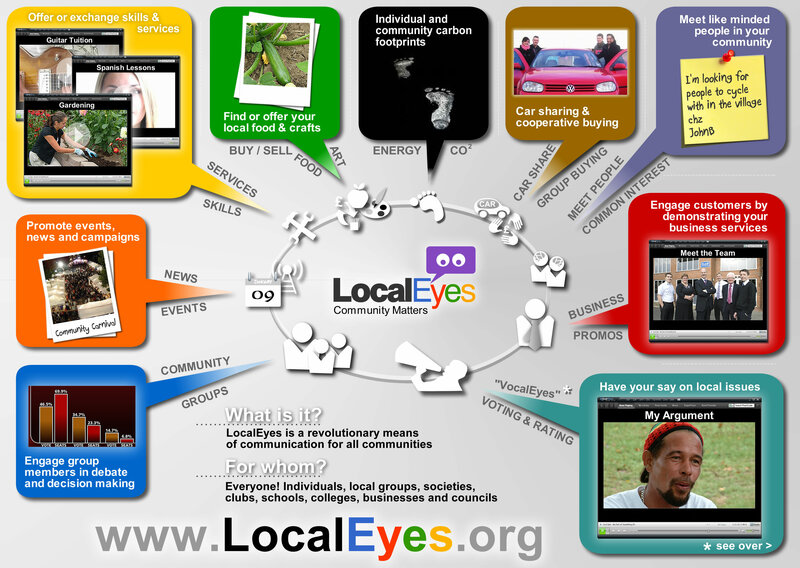 LocalEyes. a platform cooperative, is a digital toolkit for 21st century community organising enabling the effective management and organisation of local resources. Whether it be people’s skills or car sharing, calculating carbon footprints or happiness indexing, this comprehensive local resource management system, hyper local social network and community organising toolkit will help people improve and sustain our communities, and ultimately our planet, for future generations. Any resource that can be measured can become a layer of LocalEyes. That might be people’s skills, local groups, their activities, items to swap, sell, freecycle, carbon footprints, happiness and well-being, our housing stock, the green and brown field sites, through to our horticulture and geology. Many tools already exist to map some of these resources but do so largely in silo or they become very sparse on authentic data at the hyper-local level. To date, there is no application that can capture all the resources available in an area enabling the cross pollination of data resulting in efficient and effective planning of projects for social and environmental benefit. Through the VocalEyes digital democracy, crowdsourcing & participatory budgeting app, key priorities of local communities and organisations can be identified. 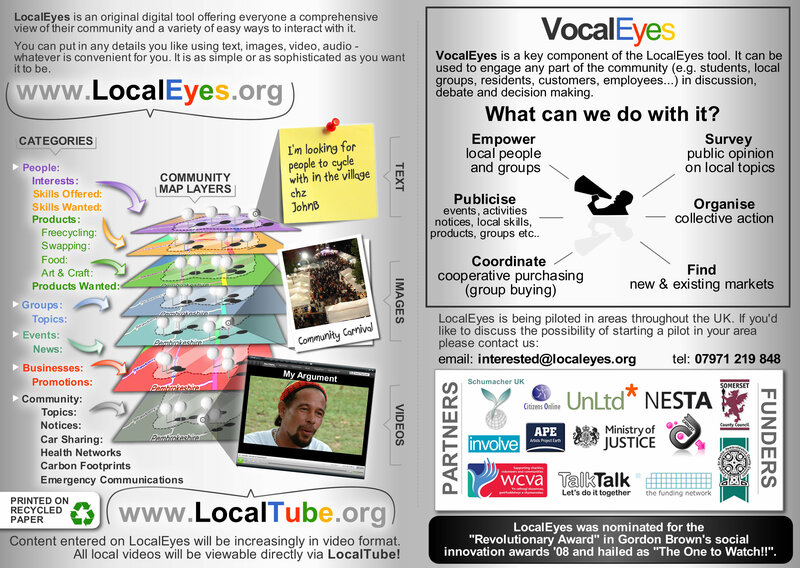 LocalEyes will be able to respond to these priorities by proactively recommending local resources available to help progress popular ideas into tangible projects. As other resource applications are developed within the LocalEyes framework, they will assist communities and societies at large gain more control over the resources available to them which in turn will assist us in achieving our collective sustainability goals and help to preserve life on Earth.